The online, member-only Case Discussion Forum is an easily-accessible tool that allows practitioners worldwide to discuss all aspects of TCVM, including: questions about acupuncture, Chinese herbal medicine, food therapy and Tui-na, how to establish a TCVM practice and integrate TCVM with conventional medicine, continued education opportunities, and research issues. One of the most useful features of the Forum is the highly interactive Case Discussion area. This is a place where you can give and receive advice on TCVM diagnosis and treatment of specific cases in your practice. 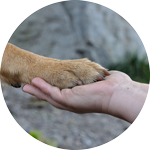 If you have a difficult case, posting in the Forum will allow you to quickly obtain advice from experienced TCVM veterinarians, enhancing your knowledge and improving the patient outcome. Any clinical aspect of TCVM can be discussed in this secure, professional learning environment. If you are already a member, you may access the Forum here. The Forum is for veterinarians only. If you are a practicing veterinarian or are interested in TCVM and would like to take part in the Discussion Forum, we invite you to join us as a member for full Forum access.